Social content is shorthand for the terms “social media” and “content marketing.” It represents content and link sharing on various social media platforms. 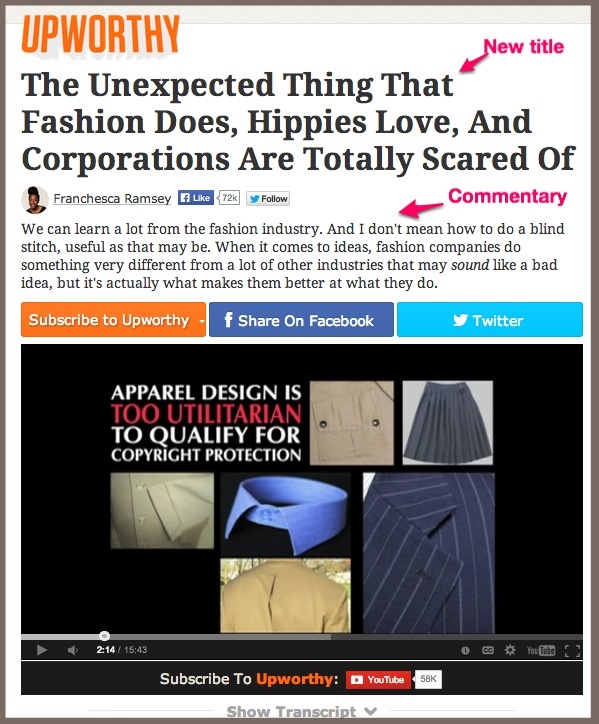 Yet, for marketers, the social content definition is broader and, often, not well understood. Social content is about how the content is created, not shared or distributed! Integrate social content into the core of your social media and content marketing plans, strategies and activities. Keep in mind the 90%-9%-1% ratio of social media interactions. It’s the key to social content. 90% of people won’t take action. 9% of people will do something small. This can be sharing or short comments on content. 1% of people will do something more. This can be longer comments or creating content. Provide and encourage your community to interact on your platform (such as Amazon), a social media forum (such as a question posted on Facebook), or a third party forum (such as Trip Advisor). Your role is chief wrangler. Your goal is to get members to contribute content. It’s their voices and information that matter, not yours!!! Include reviews and ratings and forums comprised solely of user-generated content. 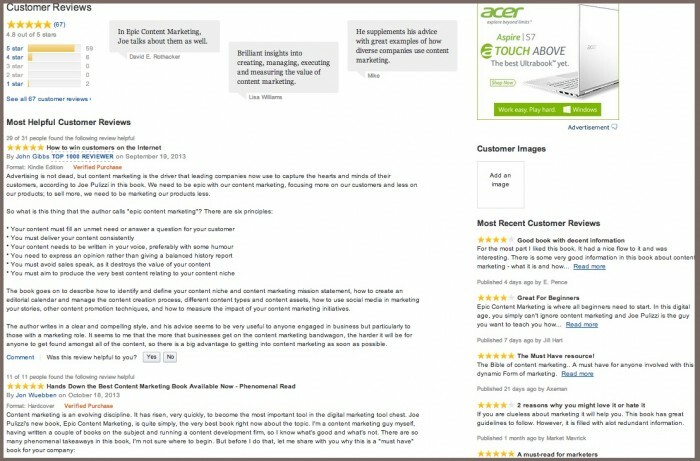 Amazon is the granddaddy of ratings and reviews where readers can rate others’ reviews. 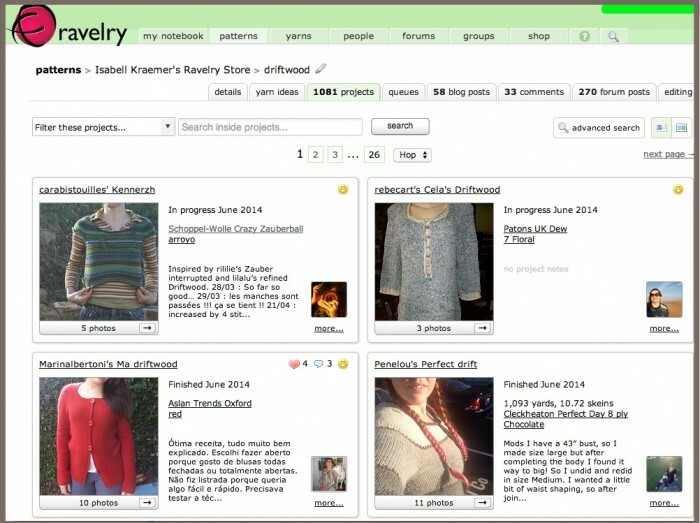 Ravelry is a social media platform for knitters, crocheters, spinners and dyers. It’s entirely composed of content created by its members. It’s the go-to resource in this DIY category. It’s a great example of Community Created Social Content. Here’s what an individual’s project shows. 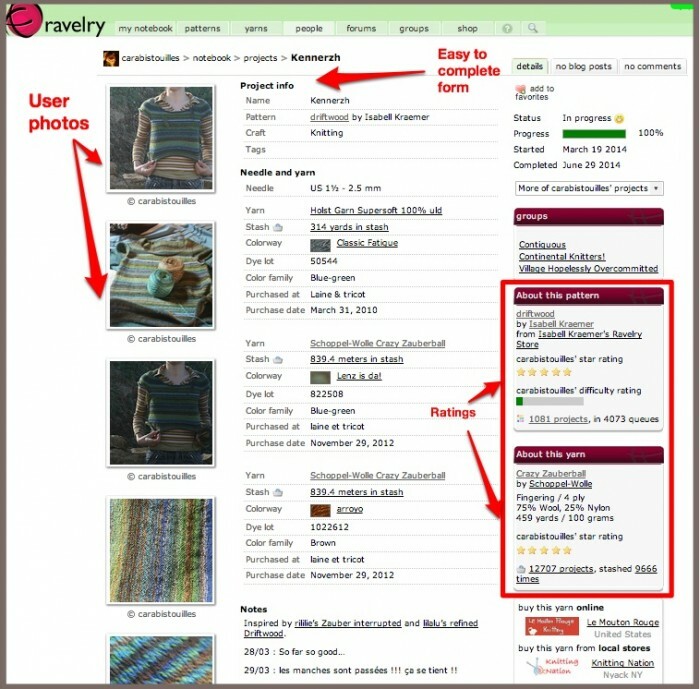 The user fills in the information from their project, adds commentary, rates the pattern and wool, and uploads photos. You can link to your own blog as well. Reduce the amount of work required by contributors. More people will vote on a review’s quality and utility than will write a review. Set the ground rules. It’s useful to let participants know what they can and can’t say on the forum. This enables you to eliminate spam. Of course, you need to be impartial and not just remove negative comments. Ask your target audience including prospects, customers, influencers, social media followers and the public to contribute original material to your content. You provide the context and commentary for their input and produce the final product. You can ask a broad group of people or select specific contributors. Roundup posts, customer spotlights and interviews. On Actionable Marketing Guide, I bring together a variety of expert opinions on different topics. 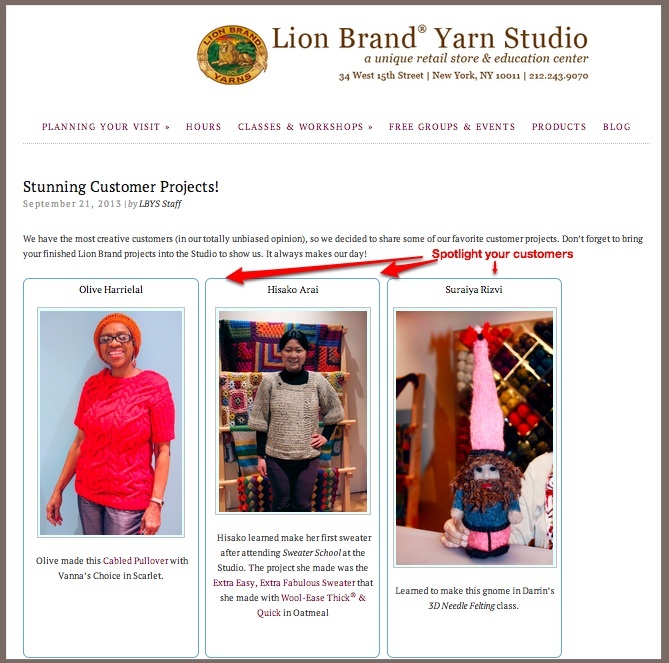 Lion Brand Yarn Studio does a great job of spotlighting its customers while removing the barriers to co-creation. They take the photos and write the content. All customers have to do is finish their projects and say cheese. Eliminate barriers to participation. Make it easy for your audience to contribute. For example, take photos of your customers in your retail establishment. Make your community look good. Add editorial support and related services to make your contributors feel good about the experience. Let contributors know what they have to do. Explain what information you’re seeking. Define who has rights to their content. Add your commentary and perspective to third party content. Includes changing the headline, image and context. 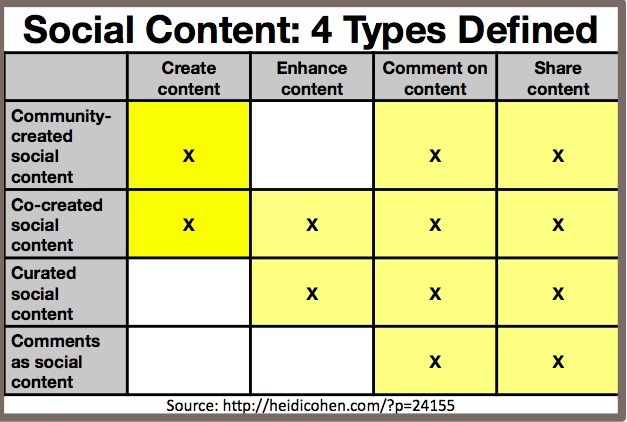 There are 5 basic content curation types. Provide additional value for your audience beyond the original article. At a minimum, let them know why you think that the content is important. Know the difference between curating and copying other people’s content. (Here’s some content curation success help.) You don’t want to be accused of stealing other people’s content and ideas. Includes social sharing and “Best of” posts. Leverage the power of images. Photos attract more attention. Get readers and the community to contribute their point of view to the conversation around your published content. Focus on the conversation around the article. This can take place on your platforms, social media or other third party venues. Include comments on blog posts and social sharing. 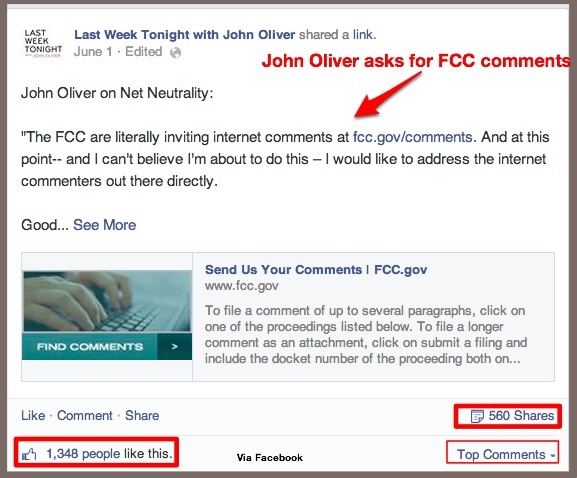 John Oliver‘s segment on Net Neutrality on his television show, Last Week Tonight With John Oliver, and his call-to-action to comment is a great example of comments as social content. Here’s what it looked like posted on Facebook. Respond to comments where appropriate, at least during the first few days after the piece appears. 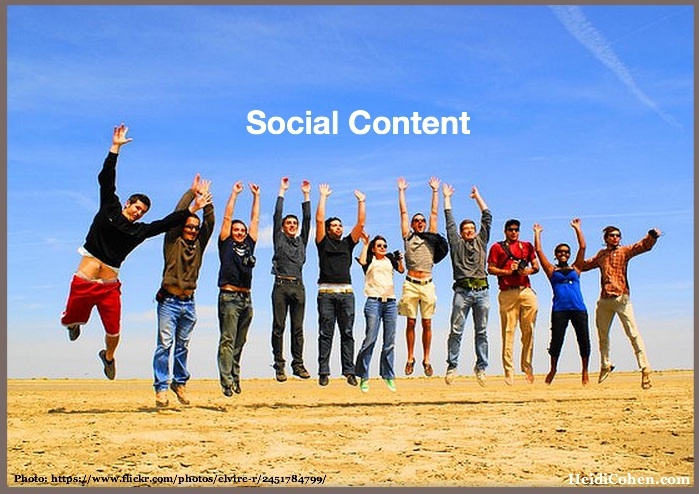 Social content definition: Content marketing you and your community create together. It takes 1 of 4 different formats. They are community creation, co-creation, curation, and/or content commentary. 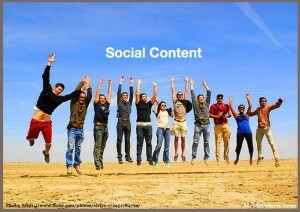 Social content is an important addition to your content marketing mix. It extends your offering. Even more important, your community supports and shares your content because they’re a part of it. What is your definition of social content? Tags Chart, Content curation, Definition, example, Social Content. Bookmark the permalink. ← Are You Missing These 3 Mobile Social Media Opportunities? Useful tips here! I believe you have suggested brilliant insights here and how to implement those strategies to make your content marketing works. I am confident that with right content to your target audience will surely provokes interest and even invokes participation. So, that’s fun! Be creative and let your target participate! This post is very beneficial for those who have struggled in linking their online community to their target audience. 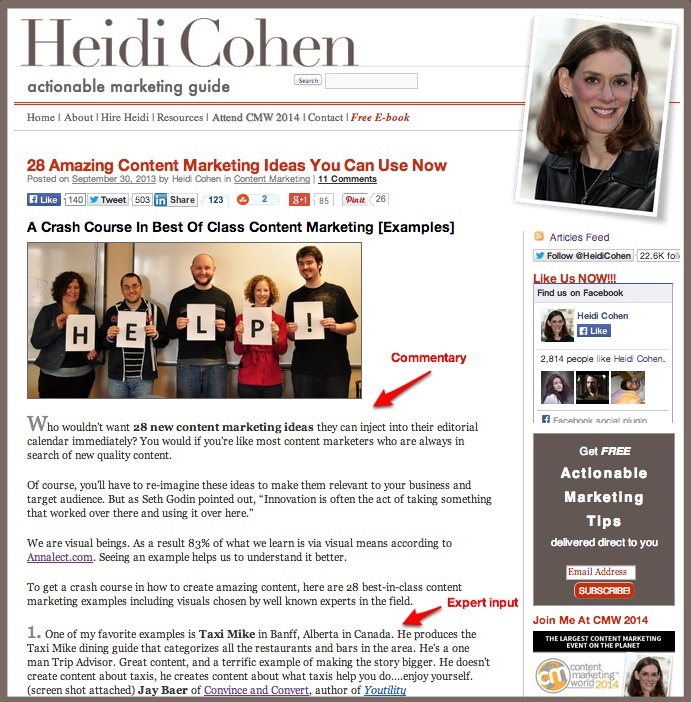 Thanks for a very insightful piece on Content marketing Heidi! We focus on partnershiop marketing where content becomes pretty-much the most important vehicle/ channel of communication about the partnerships, as well as the asset/bargaining-chips for credibility and klout. Do you have a newsletter I could subscribe to for future reading? Ok got the subscription thanks!